The cost of any long term care, whether Home Care or Live-in Care, can be a concern. This is why it is so important to be aware of both the public and private funding options available. Most people would prefer to live at home and have a carer than move into a care home. However, everyone worries about the costs involved and whether these are affordable options. Both hourly care and live-in care are possibilities for most people and are often more acceptable than moving into a care home. The benefits are definitely more appealing. As well the security of living at home, amongst friends, family and pets, live-in care supplies one-to-one care and companionship while hourly care can bring peace of mind to both the client and the family. The cost of both hourly care and live-in care depends on how much care or support is required. As Acquire Care Ltd. is able to offer the full range of care available, we can suggest the right care plan that is suitable for each individual client. No two care plans are the same but is based on each client’s needs. The cost of hourly care starts at £27 per hour. It is possible to reduce this cost by having 45 minutes or 30-minute visits. 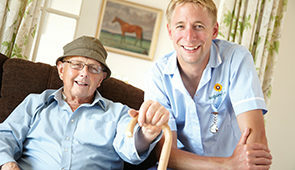 Our prices for live-in care for one client start from £840.00 per week and are usually in the range of £840.00 – £ 980.00. Please call us on 01865 601010 or email us for a more accurate estimate. The final price can only be given once the care package has been agreed though. There may be a variety of funding options available for you and are mentioned below. Direct payments are local council payments for people who have been assessed as needing help from social services, and who would like to arrange and pay for their own care and support services instead of receiving them directly from the local council. It may be that you wish to pay for any care that you, or a family member, receive without consulting with the social services or filling in any council forms. An alternative is that you may decide to have a care fee payment plan that covers the cost of the care. In this case, it is suggested that you consult an independent financial adviser. Attendance Allowance (AA) is a tax-free benefit you may get if you are aged 65 or over and need help with personal care because you are physically or mentally disabled. Attendance Allowance is not usually affected by any savings or income you may have. If you’re under age 65, you may get the Disability Living Allowance instead. If you already have a family member who claims the Carer’s Allowance to look after you, day-to-day support services could help this person to go to work or take a break during the day. Extra expenses may be claimed for paying a third party to provide care when needed. The support services may also help when you need specialist care or a substantial amount of looking after. You might be able to choose to employ people to help with care at home on your own. You should seek advice from your local authority or local support organisations. This is sometimes referred to as DLA and is a tax-free benefit for children and adults who need help with personal care or have walking difficulties because they are physically or mentally disabled. You can get Disability Living Allowance whether you work or not. It is not usually affected by any savings or income you may have. If you start to get Disability Living Allowance it might increase the amount of other benefits you’re entitled to. Disability Living Allowance is ignored as income for working out any income-related benefits and tax credits. The National Health Service (NHS) and local authorities should work together to meet your needs if you have continuing health and social care needs when you leave hospital. Following the assessment there are a number of possible care options including support at home. Continuing care can include both health and social care. 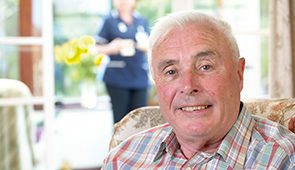 Fully-funded NHS ‘continuing care’ is a package of care arranged and funded solely by the NHS. To access this care you must meet the eligibility criteria set by your strategic health authority. If it is thought that you are eligible, staff will apply on your behalf. If you meet your strategic health authority’s criteria for NHS continuing care, the NHS will pay for all of your care needs. ‘Continuing health and social care’ is a package of care that involves services from both the NHS and social care. If you do not meet your strategic health authority’s criteria for NHS continuing care you may still be entitled to support from health organisations, such as your local primary care trust, and from your local council. When they assess you for discharge from hospital, your discharge team should arrange for assessments to identify your needs and make appropriate referrals for you.